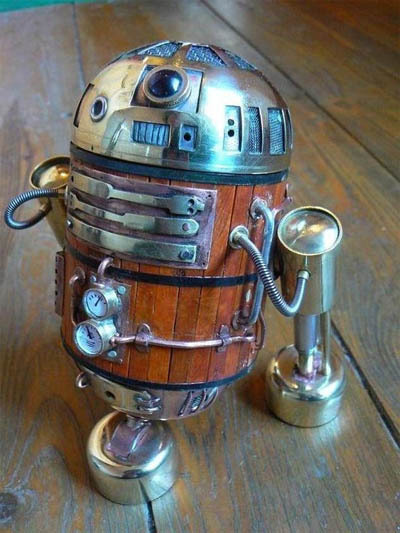 Everyone’s favourite comedy relief droid, R2D2, is the latest creation to get a steampunk-makeover. I wonder if Lord Vader will approve? Well, he looks kid of cute, doesn’t he?